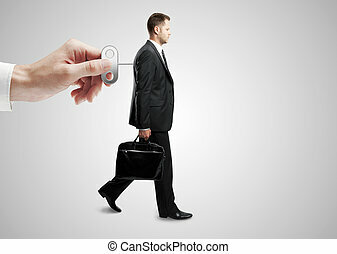 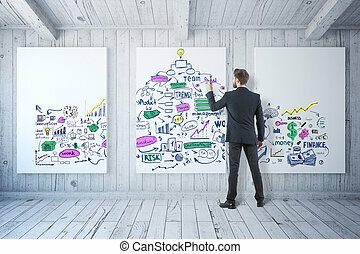 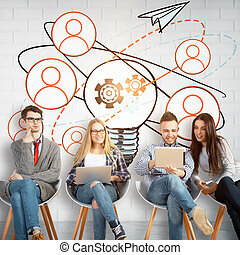 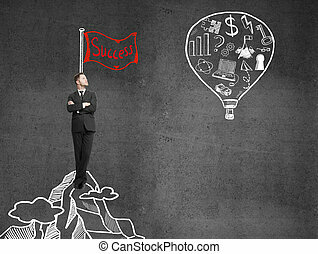 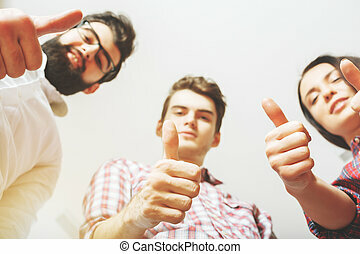 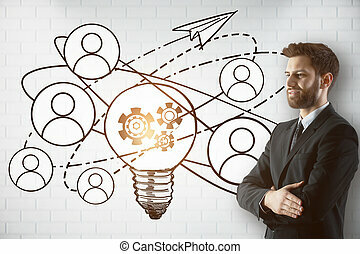 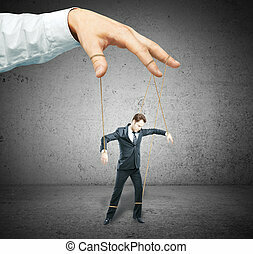 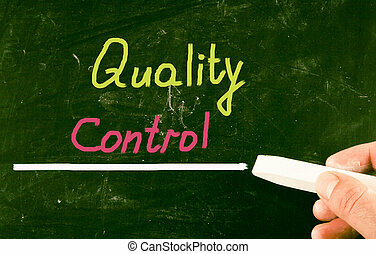 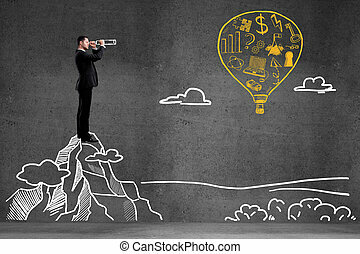 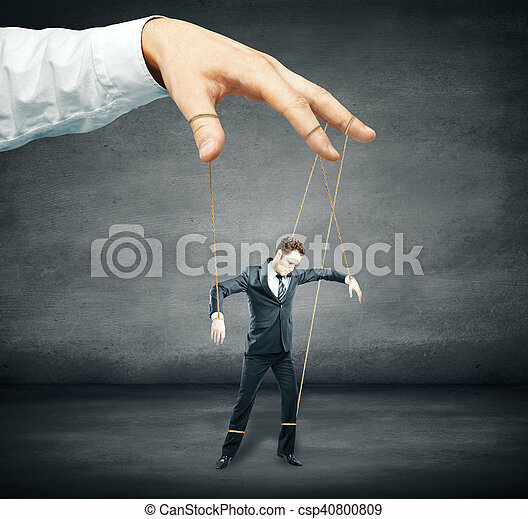 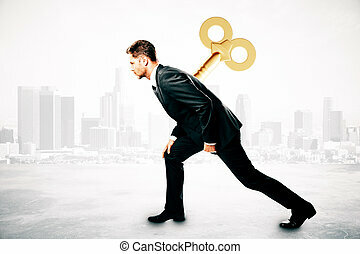 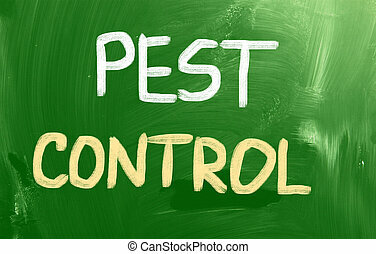 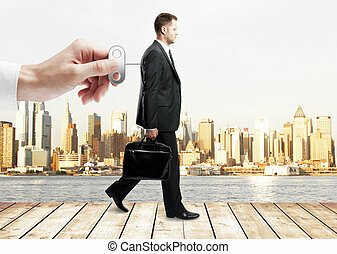 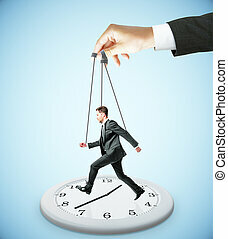 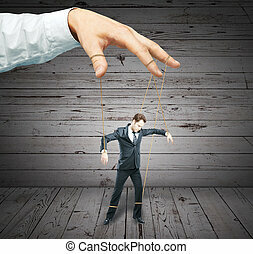 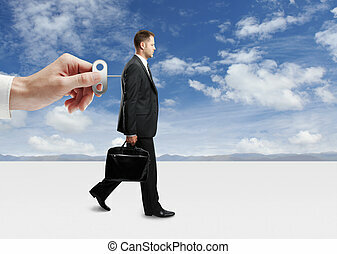 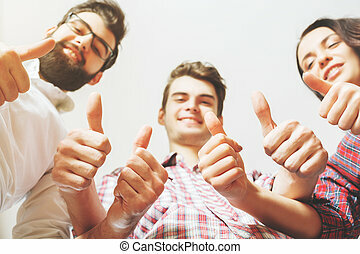 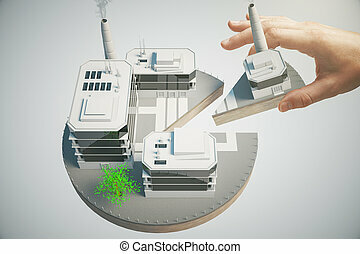 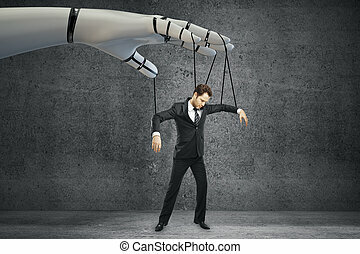 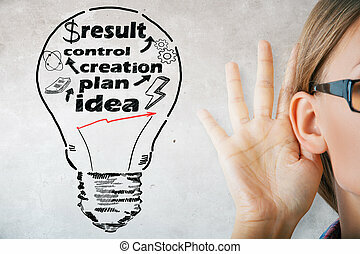 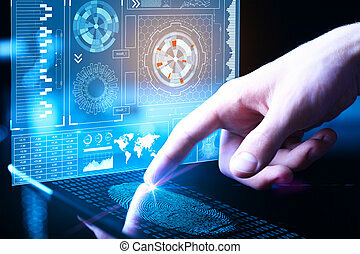 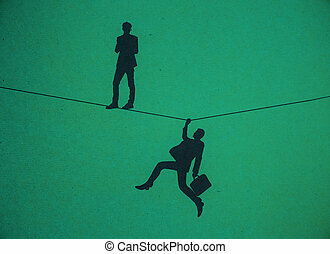 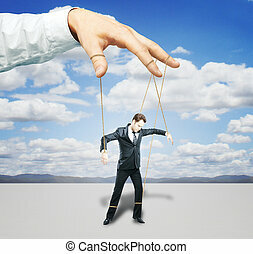 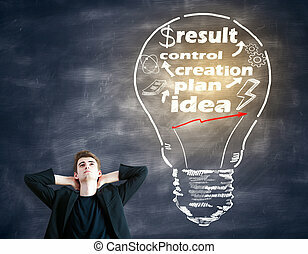 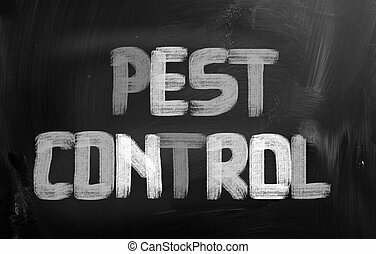 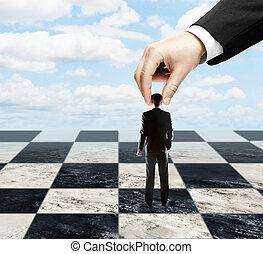 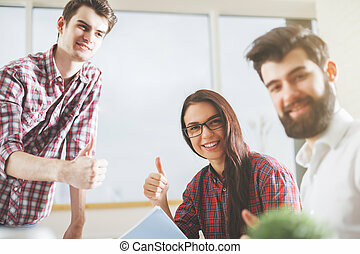 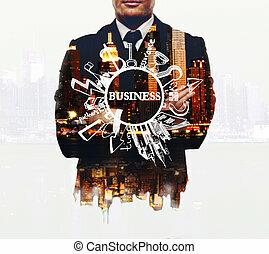 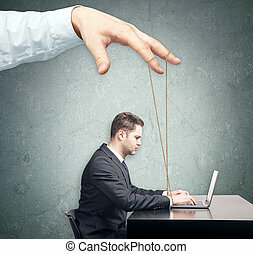 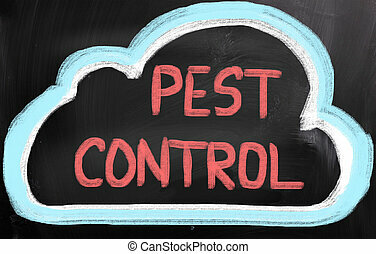 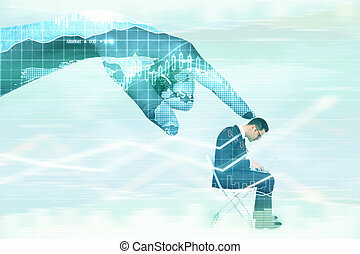 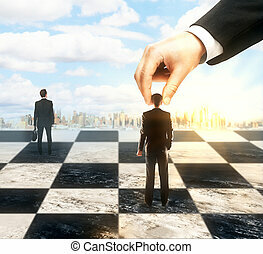 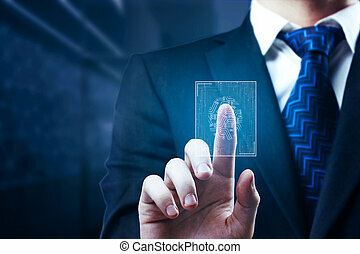 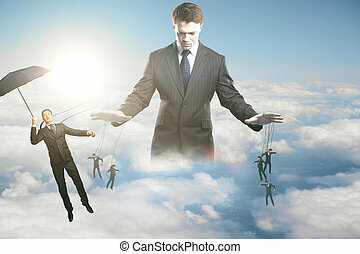 Hand controlling businessman as puppet on dark concrete background. 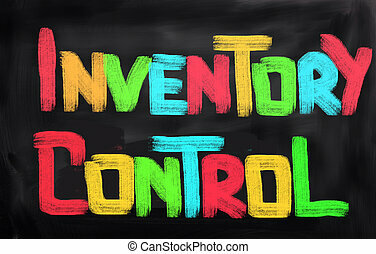 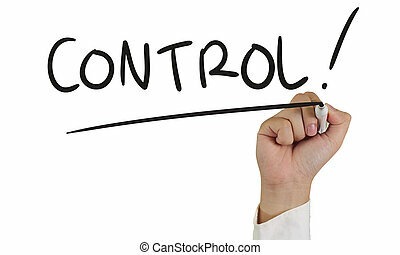 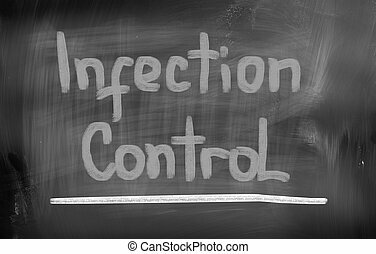 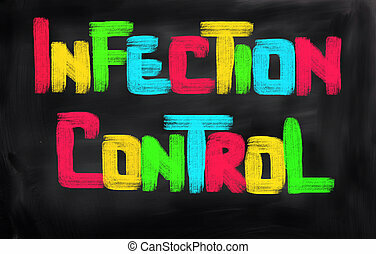 control concept. 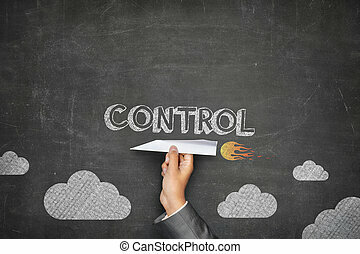 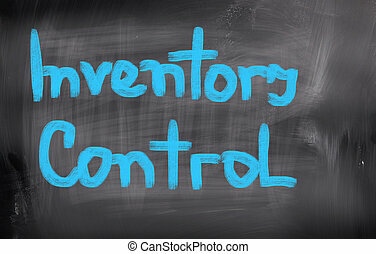 Finance control concept. 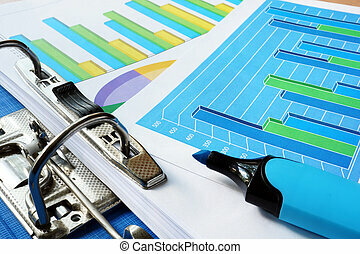 Financial data with charts and graphs.